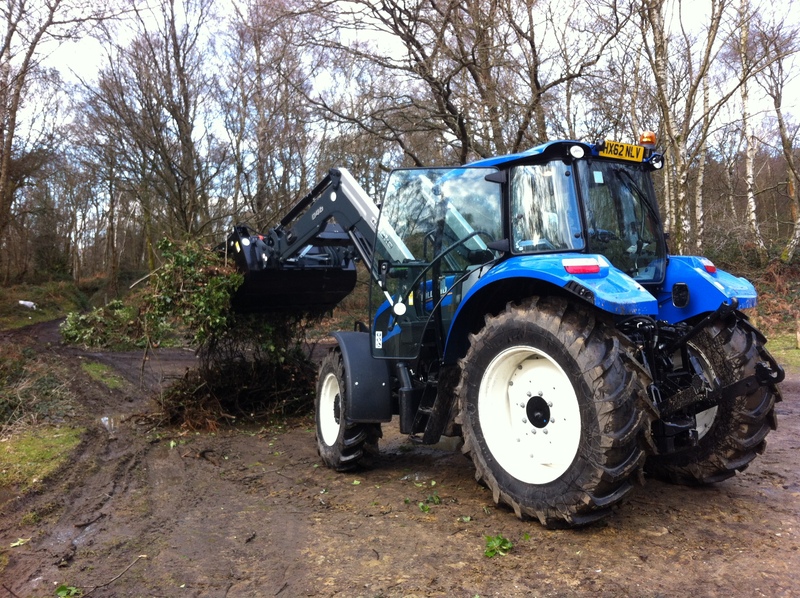 The new tractor arrived on Friday and within hours was put to work clearing up fly tip on Winterfold and Farley Heath. Sadly I forgot to take any pictures of it before it got muddy! 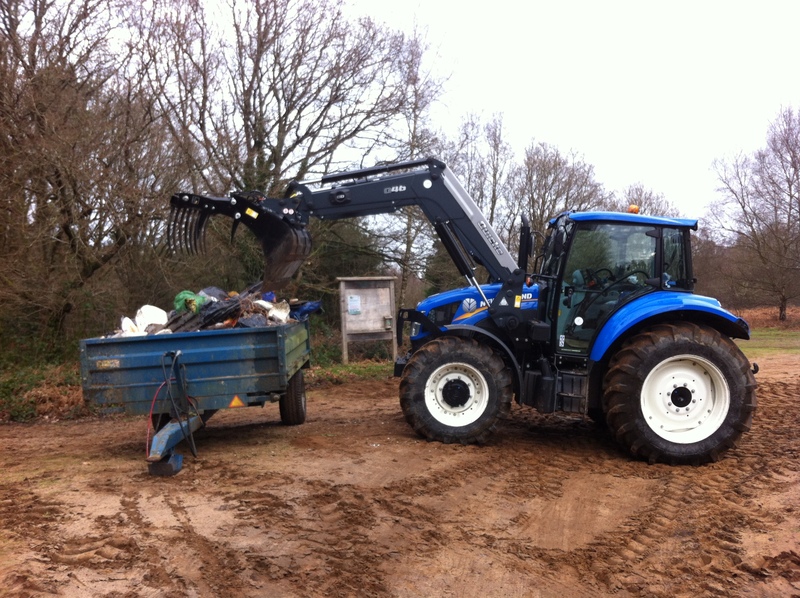 So fingers crossed, unlike our old tractor, it wont be forever breaking down, leaving me stranded in the middle of the Hurtwood, and consequently we wont be spending a small fortune getting it repaired. A household clearance dumped at the Roman Temple car park, Farley Heath. Three large loads of tree surgeons waste dumped in the entrance to car park no.6, on Winterfold. Richard III has been found! So you’re probably wondering what this has got to do with anything on the Hurtwood? Quite a lot actually, and particularly to the part of the Hurtwood owned by Shere Manor Estate, anyone guessing yet? “We apologise for the restricted parking in two of the main car parks at Walking Bottom and the Windmill and also for the damage caused to the surface by the current Forestry operations. Not only does this make parking difficult, particularly at the Windmill for all but 4WD vehicles, it also means that overspill parking at weekends is causing problems in Peaslake Village. While we are responsible for the maintenance of these car parks the forestry operations are outside of our control. We will continue to work with the Landowner to minimise any further damage to these car parks and in the longer term our aim is to ensure that the car parks are returned to good condition and normal capacity as soon as is practically possible”. Maybe this would be a good time to consider exploring other areas of the Hurtwood? Did you know we have twelve other carparks?